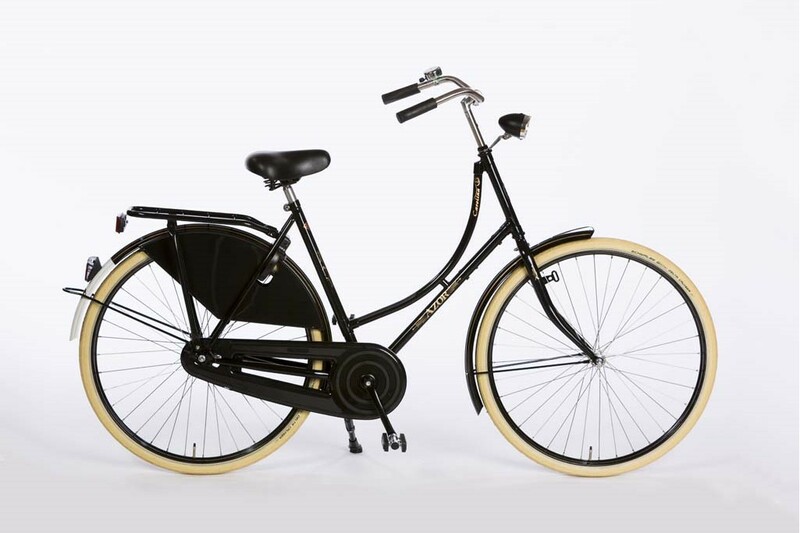 The Azor Carolina is a Traditional Dutch Bike in Holland using Hoogovens Corus steel, these bikes offer top quality for a budget price and are fully equipped with mudguards, enclosed chaincase, skirt guards and rear carrier with stand. The top of the range Shimano 7 speed hub gears have a twistgrip changer and the Shimano rollerbrakes back and front are operated by handlebar levers instead of the back-pedal brake usually found on Dutchbikes. A handy Axa shopping lock and Rack is also fitted as standard. As well as the dynamo lighting, the reflective tyres, pedals and large red rear reflector will help you be seen at night.